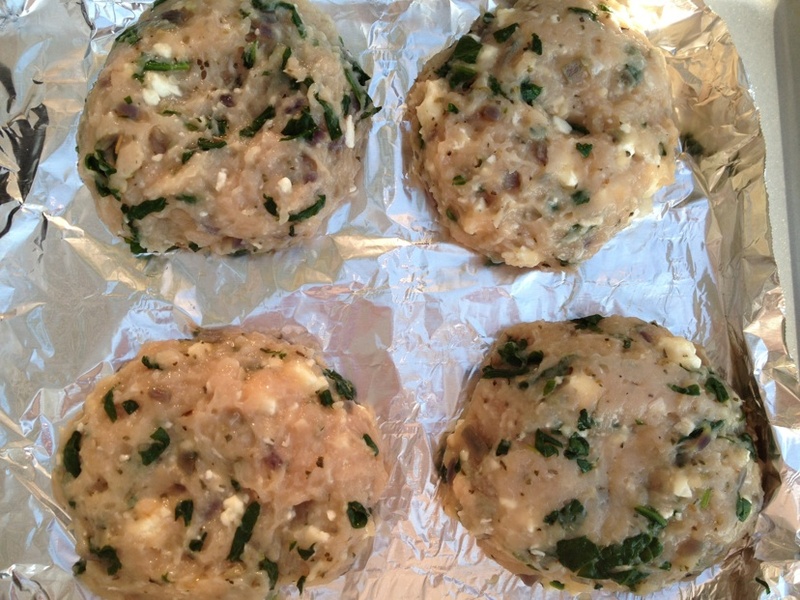 I used to be grossed out by turkey burgers and I have no explanation why. This all changed a few months ago when I had my first turkey burger! 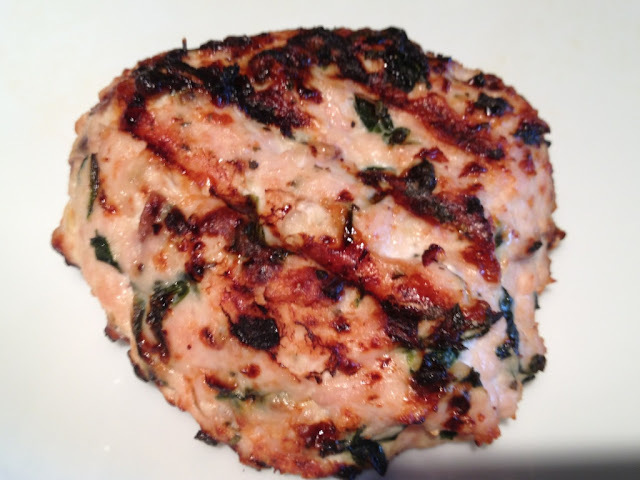 My mom gave me this recipe and I have to say I am officially in love with turkey burgers. 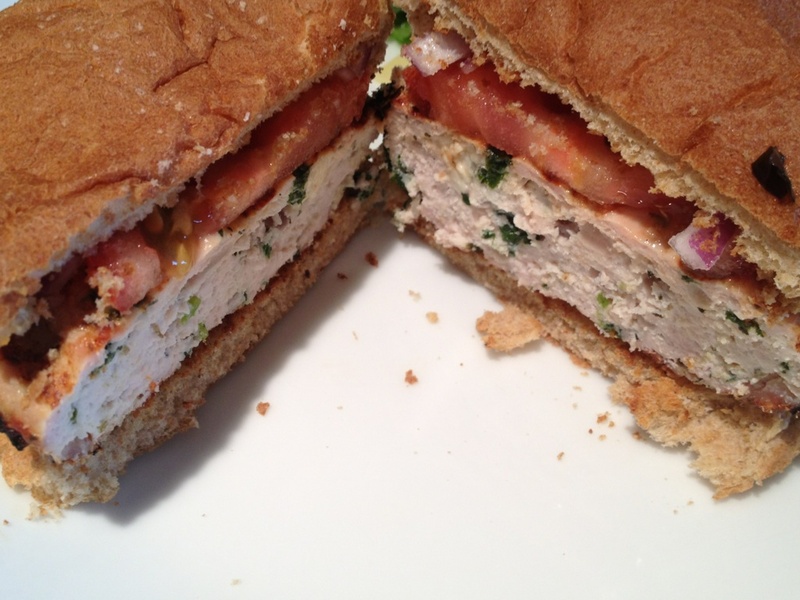 Often times, turkey burgers can be very bland but this recipe has the right amount of seasonings to make it flavorful yet very satisfying (and extremely healthy too)! 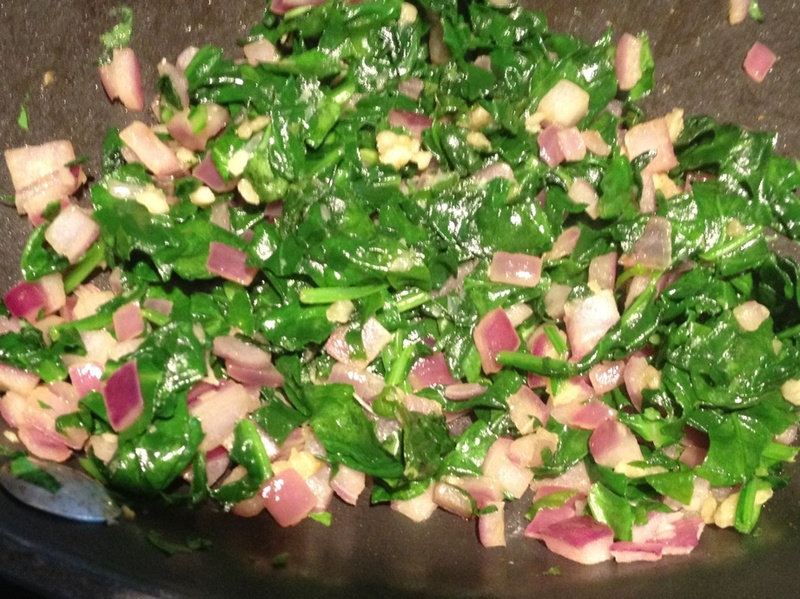 Dice your red onion and spinach leaves. Bring a large skillet with 1/2 tablespoon of olive oil to medium-high heat on the stove. Add the onion and garlic, stirring often, and cook until softened (about 5 minutes). Add spinach to the skillet with onion and garlic. 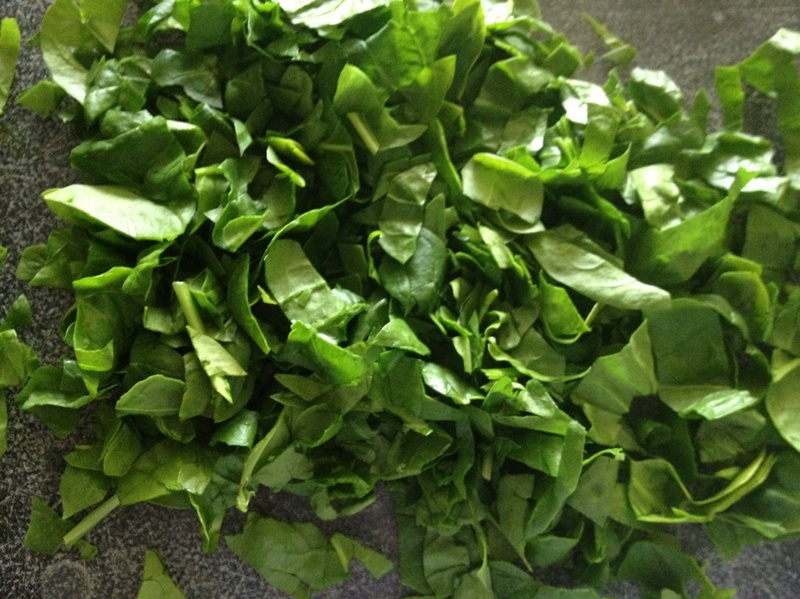 Cook until spinach has wilted and the excess moisture has evaporated. Remove skillet from the heat. 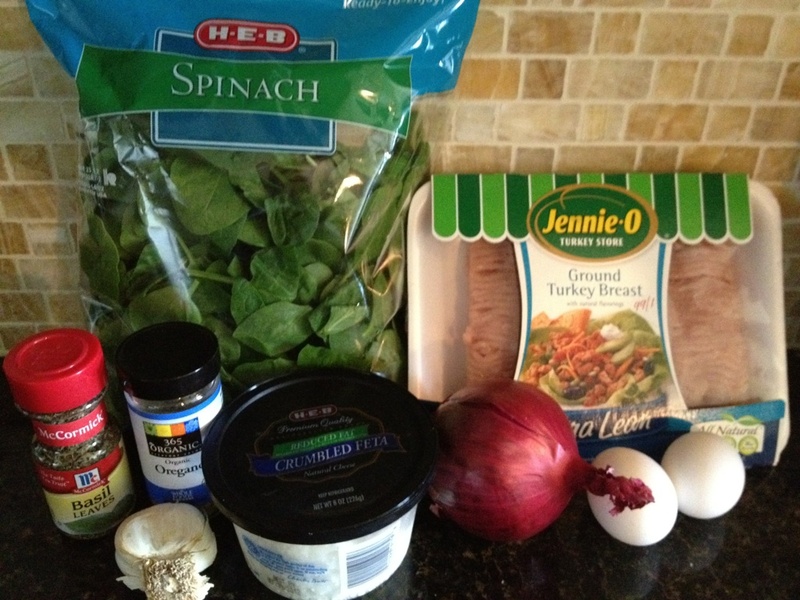 Once cool enough, carefully blot away any excess moisture from the onion-spinach mixture with paper towels. Set aside. In a large bowl, combine turkey, egg whites, basil, oregano, salt and pepper. Using your hands, mix well. 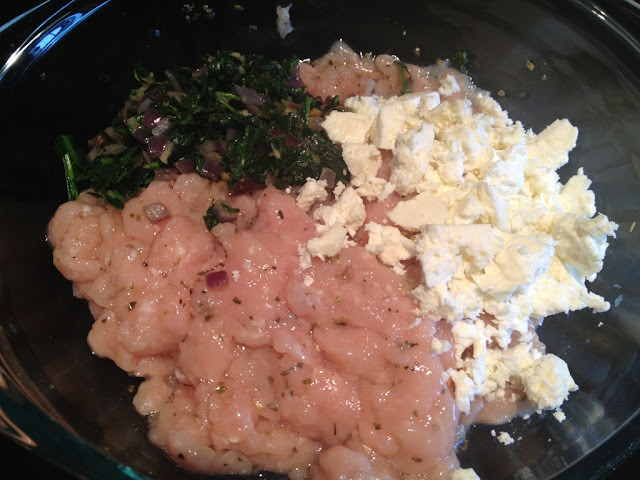 Add cooked veggies and feta cheese to the bowl. Once again, use your hands and mix until uniform. Evenly divide turkey mixture and firmly form into paddies. Cover and refrigerate if not cooking immediately. ***The mixture may be runny but do your best to form the patties. Bring a grill or skillet sprayed with nonstick spray to medium heat. Add patties, cover and cook for 5-10 minutes per side, until cooked through. If using a skillet, work in batches, removing skillet from heat between batches to re-spray. Don't worry if your lid is not a perfect fit when covering! Eat your patties with a knife and fork or, if you would like, wrap them in some lettuce leaves with onion and tomato. I prefer making an old-fashioned burger with a bun!